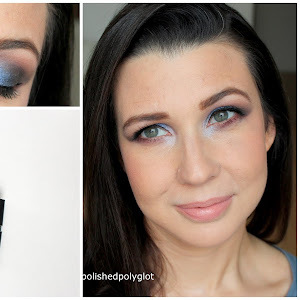 Well, let's cheer ourselves up with a makeup review, shall we? Today I want to share with you my opinion on the Zoya HOT-LIPS range, finally available in Switzerland, that's right! I have been using Zoya hot lips Glossy lip balm and plumper and would love to share my insights on them. Helloooo there! How are you? Today I have a short post for you just to show you my NOTD, because I am in love with this shade "Imperial Green" from the MAC Bao Bao Wan LE collection launched in March, and some of you have asked me a while ago if I could show it here. So here it is!! Hello my sweeties! how are you today? It's time for another "wearing-test"! I have tried the recently launched nail polish range "The Gel nail polish" by Essence cosmetics, and their new base and top coats that promise 60% increase in durability. Curious to see how they performed? Keep reading then! Blog post n°500 !!! 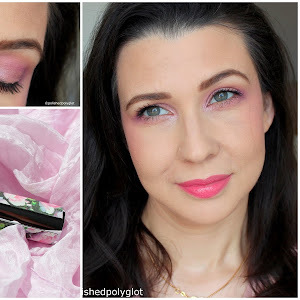 BH Cosmetics Missy Lynn palette swatches, EOTD & Giveaway!! Hello my lovelies!! how are you? I am super thrilled because this is my post number 500!!! I do not know if you have noticed I have been in a Stamping mood lately, I have tried different styles even stamped decals! and I have bought a ton of new stamping plates (which I promise I will be howing to you soon!). That is why I am paying so much attention to polishes that can stamp. You never really know which one will work, and for that reason the safest is to go with nail polishes specially conceived to stamp, as the black stamping polish I am showing you today from, Born pretty store. Guest post at Color me loud !! 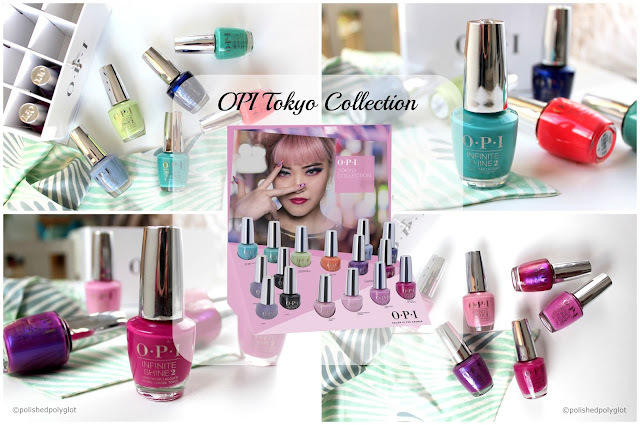 Today I am writing as a guest blogger on Sara's blog "Color me Loud" and I am presenting a NOTD inspired by Spring as she is travelling in Japan. I wanted to show you the recent additions to my stash, my hubby went on a short trip to London and asked me: What can I get you? My answer was "Barry M nail paint!! of course!" Fuller and thicker hair with the new Garnier Fructis range "Full and Plush"
Hello my sweeties! Have you spent a nice weekend? You might have heard, or seen the new Garnier Fructis range "Prachtauffüller" or "Full and plush", well this is new in Switzerland and a couple of weeks ago I received the shampoo and the conditioner of this range to try. I was thrilled because you know I am always seeking for some "magic" to make my hair look thicker and more voluminous. So I have put these two to the test: would you like to know my impressions? I have for you the 3rd and last of the "Wild" palettes Trilogy from BH Cosmetics , as the two I've already shown here, the "Wild child" palette and here, the "Wild at heart" palette, this is an eyeshadow palette cointaining 9 cool toned shimmery shades of baked eyeshadows. Hello lovelies! 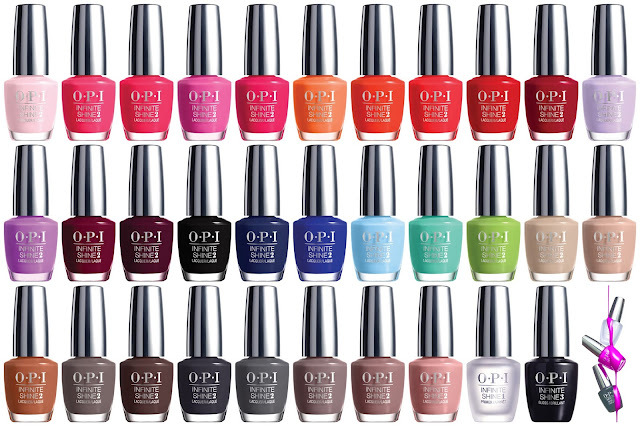 Remember my first post on OPI Infinite Shine formula? Spring is well installed (?) by now and the weddings season is in bloom, and will last a couple of months. Are you thinking about a nice cool mani for attending that wedding you've been invited to? I have some ideas! Today I'd like to show you a lovely Lace patterns stamping plate from Born pretty store. I love the effect of "lace looking" nails, I find it so feminine, pretty and specially suitable for weddings, even as a guest! 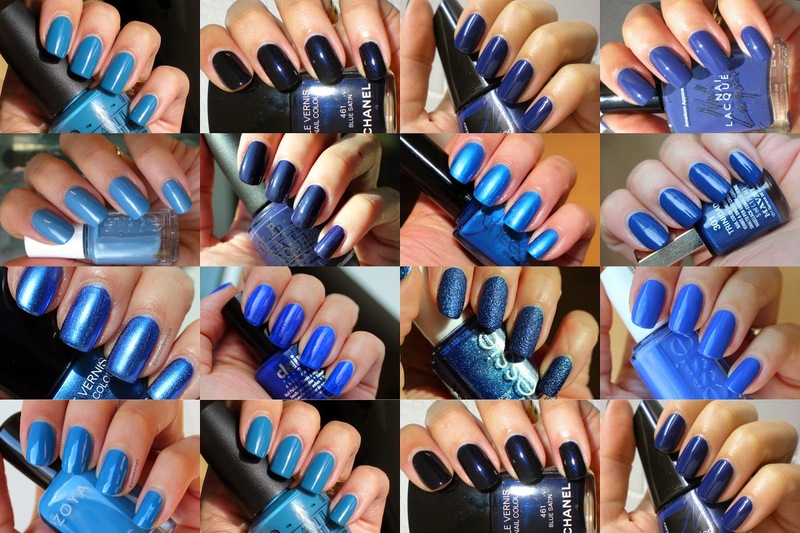 You can try lace designs on negative space, or nudy colours, or pink, for the ultimate chic and romantic nail look! Hello lovelies! Have you spent a nice Easter ? I hope so! Today is still holiday in Switzerland (Easter Monday) and I want to take the chance to show you one of my recent makeup acquisitions, three pieces from the recent MAC collection Bao Bao Wan, I chose a shimmery highlighter, a bold orange lipstick and a super vibrant emerald green polish. Want to take a look? Hello sweeties! All ready and set for Easter? I love Sunday family lunches and brunches, it is quite a bit of work and preparation, but I enjoy it so much! I am now at the 36th week of pregnancy and getting dressed (properly) becomes more difficult, but I quite managed to go through the whole pregnancy buying only two or three basics. Want to see? The 2nd April is the World Autism Awareness day, thus I would like to share with you the words of a mother that have touched my heart, and I think may interest many of you. "Like every April 2nd I get dressed in blue. Because it makes me look slenderer? Well, I might look slenderer, however, that is not why I do it but because blue is the color representing autism. Whatch out! Not the "fight against" autism, but the fight for inclusion and awareness that autism is among us and we do not have to eradicate it. Autism is not contagious.Autism is not a choice. Autism is something that touches you, from near or from afar. If it touches you from afar, you look askance at it ignoring what it is about and you give no importance to it. If it touches you nearly, you first get scared, because you don't know what it is about and whe you start to understand it you activate to fight it back. But there is a moment when you become friends with it and learn to live with it. Sometimes (very few times) you are even thankful for it, because you can appreciate every tiny progress, every little change, every word, every overcome fear, every repetitious movement that stops, every imitation event, every game shared with someone else. Because thanks to autism you are aware of the growth of a child, much more than a mother of a non-autistic child. I am not a "special mother". It is not that "God chose me ecause I'm a warrior". I am a simple mortal like anyone of you, I have thaousands of doubts and fears, I do what I can in the best way I can. Then the fear comes back. Fear that he might be abused. Tha t he might be hit, insulted and that he wouldn't know how to tell you. That he couldn't defend himself. That I would not be ther to defend him. I take this day to let you know, and that you spread it, that autism may be strange but is not evil. Autism makes you do things that others won't understand, not because you are "whimsical" or "crazy", but because your perception of the environment is different. Because you do not know how to express with words what you feel, and you do it in rather unorthodox ways which are generally "not socially accepted". But if all of us would learn to look beyond. If each one of us stopped generalizing and started trying to really know the person behind those eyes that stare at you, that person that does not answer or that repeats what you say like a parrot, or that talks endlessly about the same subject... you will see that there is nothing to fear but you can make a friend. I see blue everyday. not only because I share my life with autism but because I see the deep blue eyes of my son, that now are also staring at me. Please, help to see beyond!" I want to thank Maite for her wise and beautiful words. I will add that families coexisting with autism have a much more difficult life than other families. Not only they have the normal problems every family has, but also those generated by autism. You would be surprised to know a big percentage of those difficulties depend on th whole society functioning and on each one of us individually. We ALL can do something to make autistic people's life easier. Even YOU can. I have another Easter mani to share with you, this MoYou plate from the festive Collection #13 is so cute I had to use it a bit more! Haga click aquí para la version en castellano. The first of the month seems like the right moment to share with you some empty bottles! Shall we see what I've recently used up?